Choose from a variety of styles this spring and plant up fab! In our December issue's '10 Buys' we've highlighted some of our favourite holiday wreaths to add a little Christmas pizazz! Brilliant garden tools perfect for gift giving! See more great buys every month in Modern Gardens - Subscribe HERE! Fire baskets are on trend right now and are much more atmospheric than patio heaters. It will safely contain a blaze keeping you warm and will create a cosy ambience. Firepits and fire baskets come in all shapes and sizes and range in price but we love this Broko fire basket from Ikea at an affordable £25. 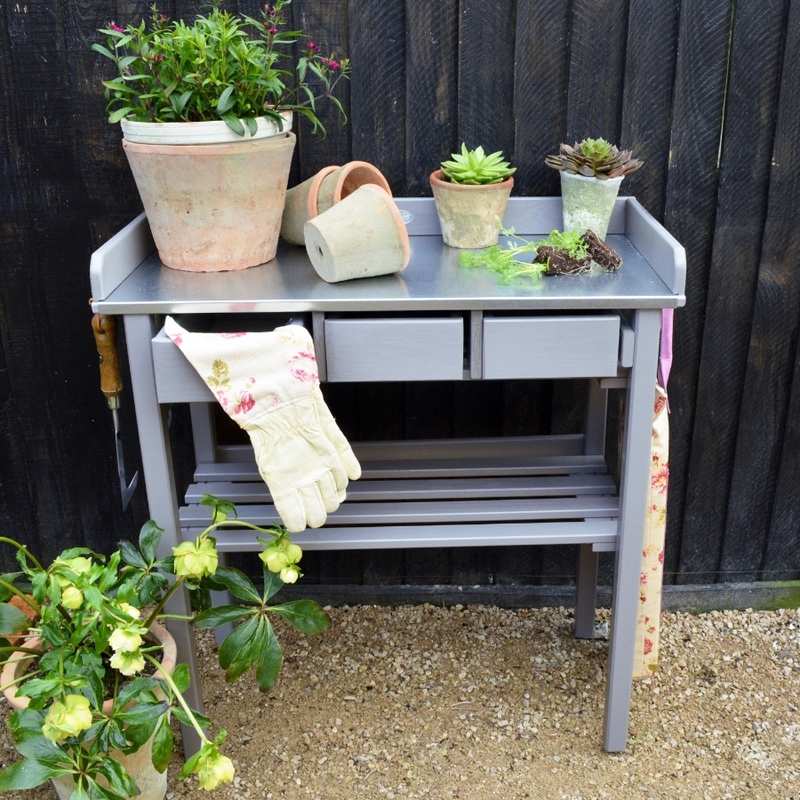 This stylish potting bench is great for potting up your seedlings or displaying your house plants. You could create your own using an old wooden chest of draws. Now that the evenings are lighter and the weather is warming up we'll be spending more time enjoying our gardens. Whether you have a balcony, terrace garden or large outdoor space, having somewhere to sit and enjoy the sunshine is a must! We love this aqua bistro set from Homebase (£69.99). This will look fresh and modern in the garden and is easy to store thanks to its fold-up design. Add this pretty woven metal lantern from M&Co (£12) for a cosy night-time spot to relax. We love this cool white planter in enamelled iron, perfect for spring bulbs or as a utility tidy in your shed.